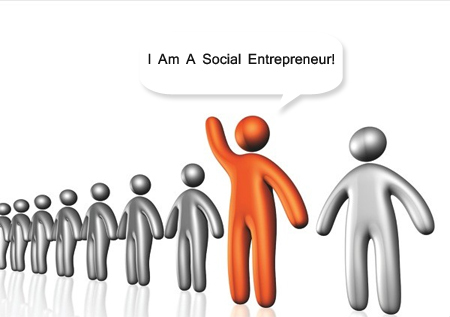 Do You Have a Touch of Social Entrepreneurship in You? The term “social entrepreneurship” is becoming a HOT topic in the startup community and on University campuses. The concept is increasingly promoted by the Stanford Social Innovation Review and leading social sector organizations like the Skoll Foundation and Ashoka. There is something truly fascinating about notable social entrepreneurs like Nobel Peace Prize laureate Muhammad Yunus. However, social entrepreneurship is not just about extraordinary individuals creating brilliant ideas for products or services that help the world. For many growing thought leaders and Millennials, it’s about the dedication to social change and the potential benefits that transform society! Social entrepreneurship relies on being driven by the needs you see around you. In your corner of the world, you see a breakdown and think to yourself, “I could do something to help…”And you’re not alone. Everywhere, empathetic people of the world are concerned with giving what they can to others in need. They’re dedicated to commanding their resources to address various issues…. and make money while doing it!